A collection of never-before-heard music from Johnny Cash will be released next March by Cash’s estate, according to the Hollywood Reporter. Out Among The Stars, an album he recorded with producer Billy Sherrill in the early 80’s that never saw the light of day, has been found and retooled using some of the players from the original project. Fans will be thrilled to find a duet with Waylon Jennings among the 12 new tracks, along with several pairings with wife June Carter. 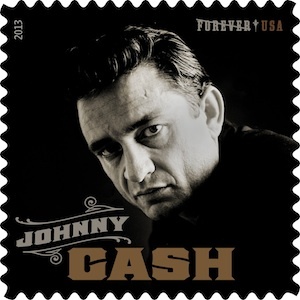 The music from the new album reflects a difficult period in Cash’s tumultuous life, during which he was at an ebb in his popularity due to country’s move towards a more pop-based sound, and battling addiction issues. John Carter Cash and his co-producer Steve Berkowitz brought Marty Stuart back in to re-record the parts he’d played on the original recordings 30 years ago, and Buddy Miller and Jerry Douglas were also brought in to help round out the sound on the new collection, due out March 25.